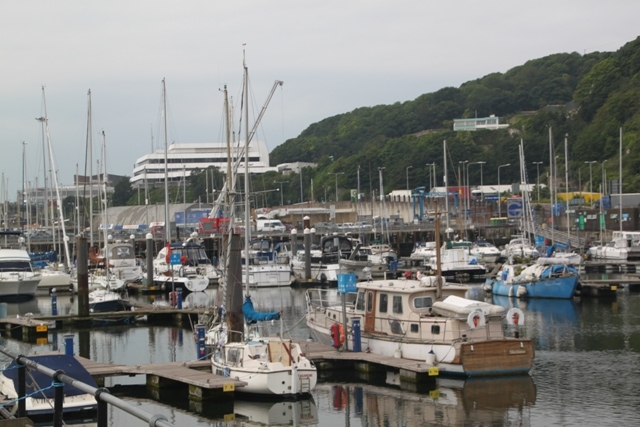 On the internet trawl for a hotel in Dover we stumbled on the Best Western Dover Marina, attracted immediately by the location – right on the seafront with Dover Castle in the background – it sounded just the thing for us. The publicity blurb described it as a “recently refurbished seaside hotel with a fusion of 21st century comfort and 19th century decor and state of the art rooms.” In hindsight I would dispute most of that, the location though was spot on. Check-in was efficient, thankfully we arrived before a huge party of coach trippers descended – first worrying sign. 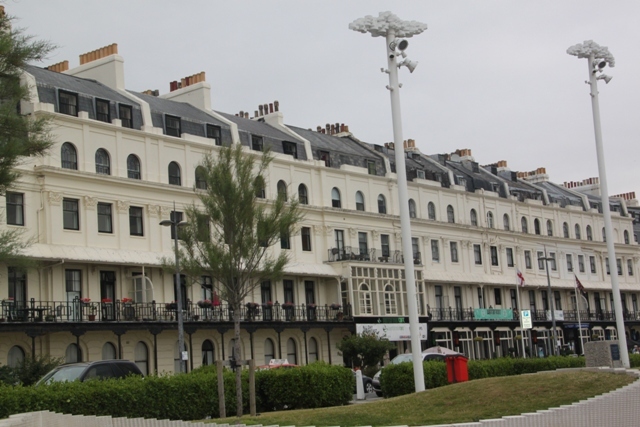 The hotel is beautiful from outside, plenty of kerb appeal with a wonderful Regency facade on a gorgeous curved street. Inside the reception area did not disappoint – chandeliers, wooden floors and a real air of old fashioned glamour and luxury. The room temperature went from unbearably hot to stifling in the middle of the night. We opened the windows and used both fans they supplied but to no avail. The hottest, stickiest and most uncomfortable night imaginable – it wasn’t even hot outside. Relief when morning came and at a loss for why this would be. A clue may have been the pipes in the bathroom – red hot all through the night and in the morning but no way to change or switch them off. 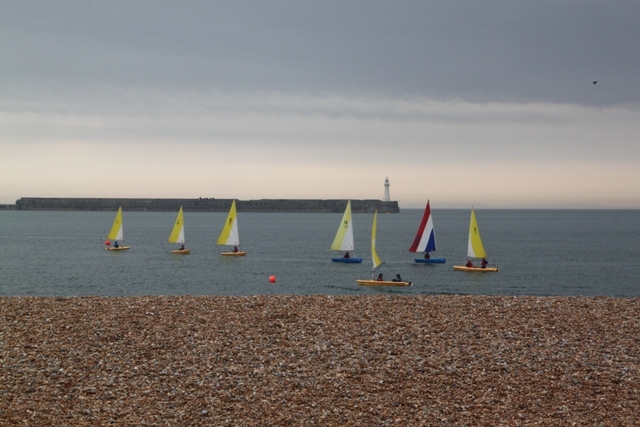 The location was great – trying to look on the bright side, the hotel looks over the sea and is close to Dover and the port. We noticed as we drove away a Premier Inn just a little further along the road – next time…. 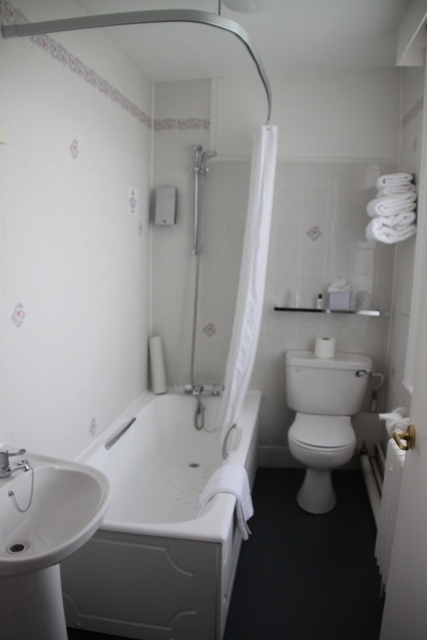 We paid £150 for this room, definitely felt more than a tad ripped off. 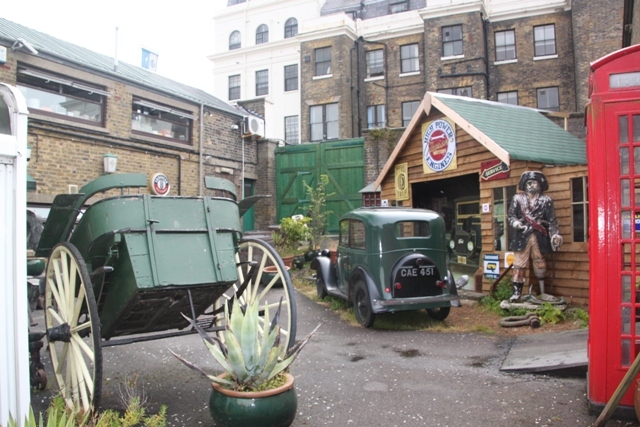 We dined in Cullins Yard, a nearby restaurant we found on Tripadvisor. 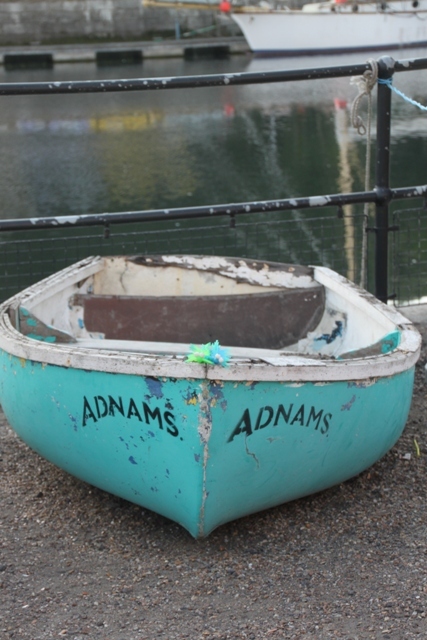 Just steps away, quirky and full of character we loved the look of this one-time boat yard. They had tonnes of bric a brac and interesting “stuff” to look at. A table outside overlooking the boats and marina was perfect, not so perfect was the service here. We queued at the bar to order drinks and food, inefficent would be the first kind word that comes to mind, as we stood for an eternity before ordering. The food though, when it eventually came, was so delicious, presentation was excellent and got a big thumbs up all round. Husband’s stuffed seabass was the star of the show, our monkfish and scallops weren’t far behind. A stroll around the harbour afterwards and I found myself impressed with Dover. Next morning we meandered into the town centre in search of reading material for our ferry crossing. Not so impressed here unfortunately, I got the feeling the centre was sadly a little bit shabby and had definitely seen better days. 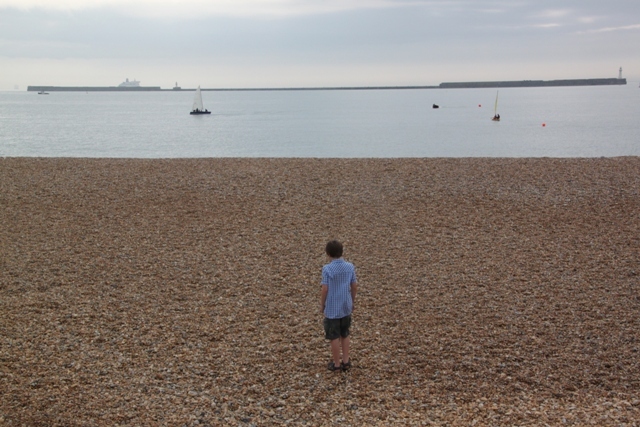 Back down to the sea and an hour on the shingle beach before it was time to head for our ship. A short drive to the massive ferry terminal and soon we were onboard an absolutely enormous vessel with three decks, plenty to do and superb views. Sailing off past the White Cliffs and lighthouse we walked to the previous day was exhilarating. Having used the Channel Tunnel on other driving expeditions to Europe we were thoroughly impressed with this method of transport. Feeling somehow more romantic and a bit of adventure, excitement was already building for what was to come. I love your cliff photos! That looks like such a unique place. And thanks for the heads up about the hotel, definitely won’t be staying there if we go! 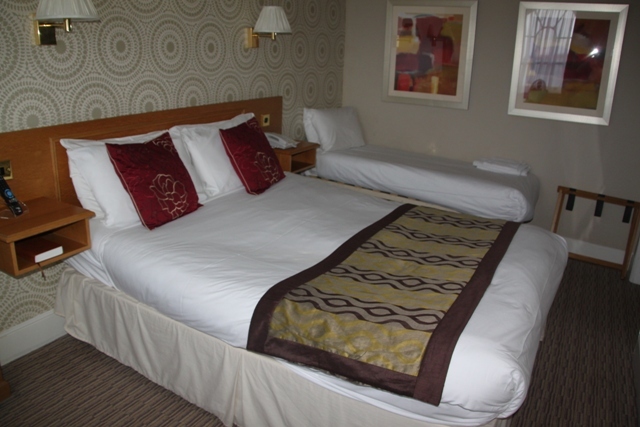 Very overpriced for a bad night’s sleep was our view on that hotel – avoid would be our recommendation. The ferry however was another story – such great views of the cliffs, we’d never gone to Europe by ferry before but really enjoyed that! It’s such a shame when a hotel looks so promising on the outside and is disappointing inside. Things like storage and water pressure are the things that grate. At least the location was good. The views of the cliffs from the boat are stunning. You definitely have to see them from that vantage point! 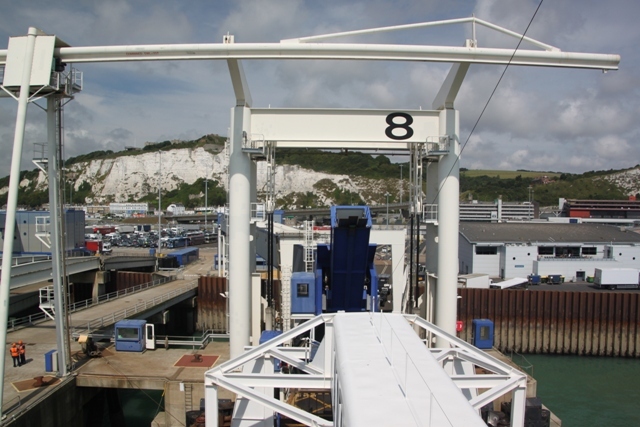 It should have been gorgeous – the exterior and reception areas were, shame about the rooms but still… We were so surprised at how much we enjoyed that ferry journey – I think it was the views of the cliffs that did it!! The hotel wasn’t great Pam but we try to never let something like that spoil a trip!! I can’t believe we have never taken the ferry to Europe before, definitely worth it if only for those cliff views. Glad to take you back down memory lane!! Another nice place Joy and beautiful pictures. Thank you Ianne – it was a ferry ride with a wow that’s for sure! Despite the poor accommodations, the boat ride looks incredible! 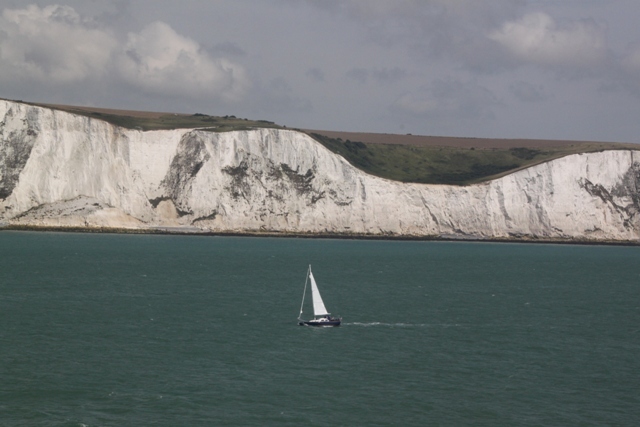 Love those white cliffs – stunning! We’d never taken the ferry to France before and were so pleasantly surprised, if only for those incredible views. So nice to see the White Cliffs as you leave (and come back to) England. Easy to see the origin of “the white cliffs of Dover”. Stunning views – those white cliffs are incredible. Great shots of the cliffs! Hope you posted a bad Tripadvisor review of that hotel! The hotel was one to avoid in future that’s for sure! The ferry though was a different matter, I have the feeling we might use that way to get to Europe again in future – staying in a different pre-trip hotel of course!! The cliffs are spectacular to walk along but when you watch them recede into the distance from the ferry – well that’s really something! Glad to have you come along for the journey George – next stop Belgium! 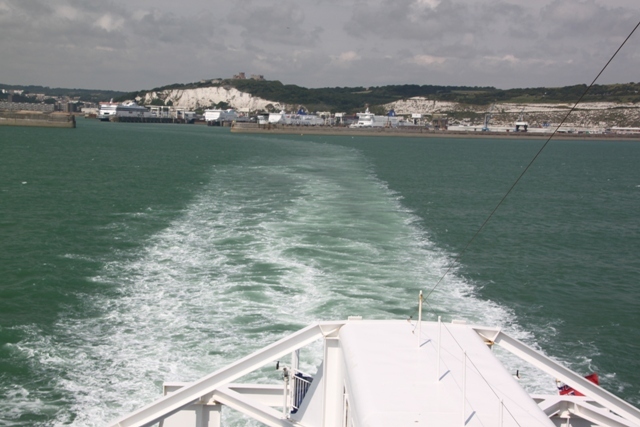 I remember being on a ferry and seeing those very white cliffs of Dover. Will have to make an effort to see the actual town one day. Thanks for the overview! The castle and cliff walk are definitely worth doing if you ever find yourself in Dover! We loved seeing those white chalky cliffs from two different angles and the castle is just a wonderful day out. Hmm, the decor in that room looks a bit 1970s to me! Can’t wait to hear what you got up to in France. That was exactly what it was like – shame the building was gorgeous but the rooms were just not in keeping! We only had a brief stay in France but spent the rest of our time in Belgium!! Next stop Brussels. Oh no! Sounds like this trip was not up to the normal greatness that your other destinations have been. Regardless of the not so wonderful trip, your pictures are beautiful as usual! The hotel was iffy to say the least and a sweaty night was had by all. Sailing away from the White Cliffs though was (almost) worth it!! The views of the cliffs from the ferry are stunning Joy! Thanks for the honest appraisal of the hotel too – sounds as if Dover has some wonderful scenery and historical sites but the town itself is a little faded. It must be a bit strange living in a place that is mainly a transit destination on the edge of England! It is a real shame about the town centre Rosemary – definitely not its best time, faded and tired was what we thought. However we did enjoy the castle and the cliffs plus the whole marina area is very nice so all wasn’t lost!! Hope your weekend is a good one.